When you kick back on your couch this Sunday to watch the New England Patriots and the Seattle Seahawks duke it out in the Super Bowl, you’ll be prepared with the must-haves: Wings, beer, and your phone or tablet. Even if you’re surrounded by friends, the game commentary on social media is often more entertaining than their chatter—or the game itself. 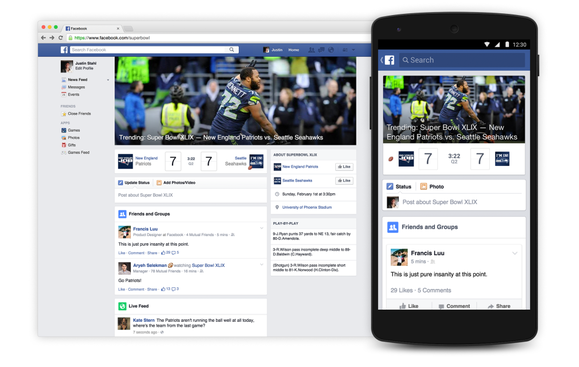 Facebook's Super Bowl feed invades Twitter's territory with a real-time stream of content. During last year’s Super Bowl, more than 50 million posted, liked, commented on, or otherwise contributed to game day conversations on Facebook. About 100 million people watch the Super Bowl on TV, so that’s a sizable chunk of viewers are Facebooking while cheering on their team. The network wants that number to be even bigger, so they’re launching a new “Super Bowl experience” to make your News Feed more of a real-time stream and less of an algorithmic mess. By going to facebook.com/superbowl, clicking on posts tagged with “watching Super Bowl XLIX,” or choosing “Super Bowl” in the network’s trending topics section, you’ll see a live feed of all public conversation around the game. Posts from NFL teams and players, NBC journalists, and other high-profile figures will appear in a separate “In the Story” section. You’ll still see Super Bowl-related chatter from your friends and groups you’re apart of at the top of the new feed, but you’ll also see a whole lot more content, including photos, videos, and live scores as the action unfolds. Facebook’s game-day play is designed to sell ads. 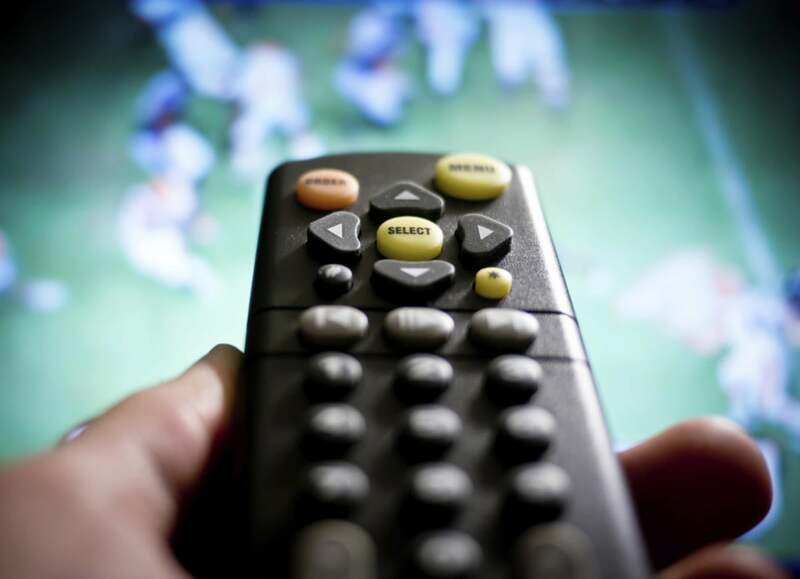 According to Reuters, that “watching Super Bowl XLIX” tag (along with other game-related keywords) will signal to advertisers that you’re a prime target for their autoplaying video ads, which you’ll see in your News Feed in real-time. Twitter is approaching the Super Bowl with the same playbook it used for the World Cup, with a curated #SB49 timeline full of tweets from chosen NFL players, sports journalists, celebs, and your friends. The NFL will tweet video highlights immediately after big plays, like it did during the playoffs, and those highlights will be brought to you by big brands. NBC’s @SNFonNBC account has big plans to tweet photos and videos throughout the game. Twitter has this real-time event strategy down pat, but it doesn’t yet have the ad targeting tech that Facebook is using to rake in billions. That doesn’t mean brands aren’t seeking a boost from Twitter. The network is sending out employees to help 13 brands create their own Oreo moment, according to Reuters. Oreo’s blackout tweet is a now-classic strike of off-the-cuff genius that turned the cookie company into the star of the 2013 Super Bowl. The price tag on a Super Bowl TV spot increases every year—a 30-second commercial now goes for $4.5 million. Digital ads are cheaper and more targeted, and perhaps more effective. But for ads to hit home, Facebook and Twitter need to place them in a stream of must-see content, and make that stream more interesting than the TV screen. Which social network will have your attention on Super Bowl Sunday? Let us know in the comments.